Traditional Chinese Festivals are the life-blood of Chinese life and culture. It seems there is always some kind of celebration to look forward to! Chinese celebrations are all rich in tradition, history, great food, dazzling lights and flashy decorations! Chinese festivals are based in the lunar calendar so the exact dates will vary from year to year in our Western Calendar. Chinese New Year is perhaps the most important holiday for the Chinese and is celebrated on the 1st day of the 1st lunar month. It falls at the end of January or beginning of February in our Western calendar as millions travel home to be with their families. 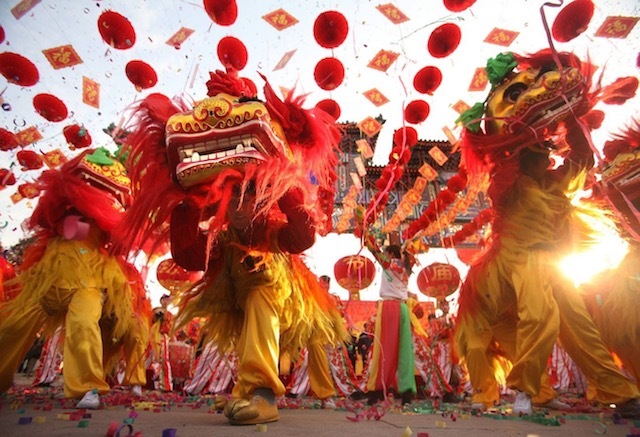 It is basically two weeks jam-packed with feasts, parades, lion dances and fireworks. 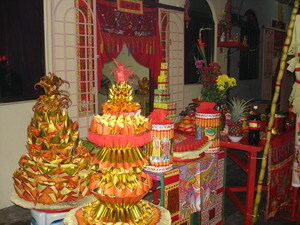 It is also known as the Lunar New Year or the Spring Festival. Here's more on Chinese New Year, the traditions and celebrations. 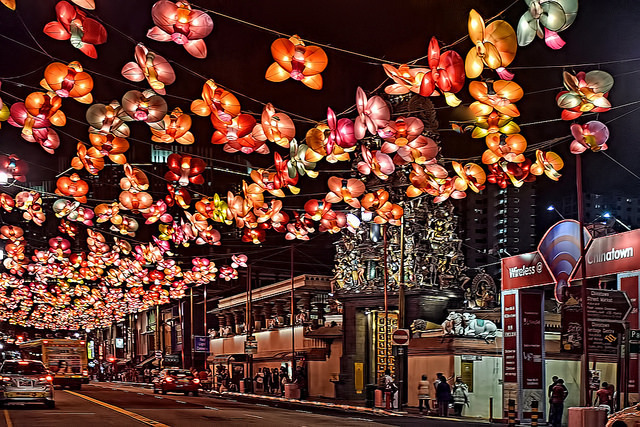 During the Lantern Festival streets, markets, store fronts, homes, parks, and just about everywhere you go, will be lit with beautiful lanterns, not only the traditional Chinese red lanterns but lanterns in all sorts of shapes, forms and colors. 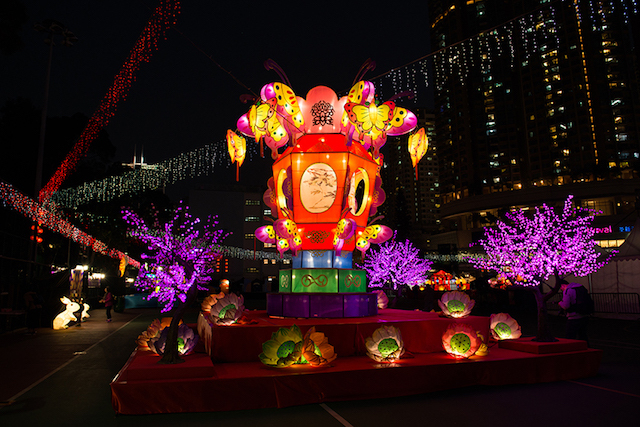 The Chinese Lantern Festival is celebrated on the 15th day of the 1st lunar month. It is the culmination of the Chinese New Year celebrations with the first full moon of the year. Many cities across China will have dedicated lantern displays throughout the entire period of the festivities. Here's more on the Chinese Lantern Festival. 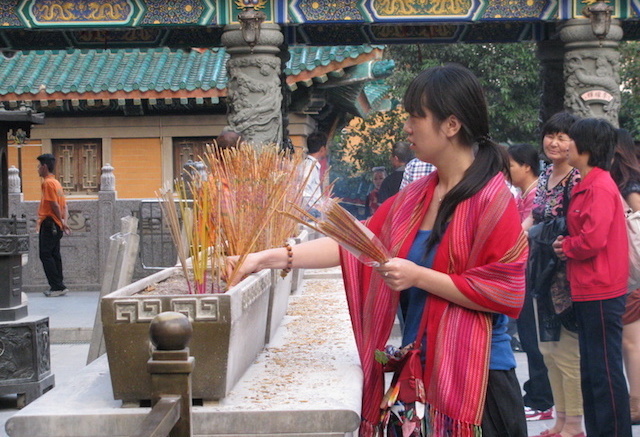 Tomb Sweeping Day or Qinming Festival is the time to honor the ancestors. At this time, temples throughout China will be teeming with activity as everyone flocks to pay respect, bring offerings and burn incense. It normally falls at the beginning of April in our calendar. The Ghost Festival is the opposite of Qinming Festival. Here, the ghosts come out when the gates of heaven are opened for a month and visit the living... Ghost month falls in the seventh lunar month. Here's more on the Qinming Festival or Tomb Sweeping Day and Chinese Ghost Month. The Dragon Boat Festival is an exciting festival when the dragon boat races, a long-standing tradition, are held throughout China. It is celebrated on the 5th day of the 5th lunar month, around June in our calendar. 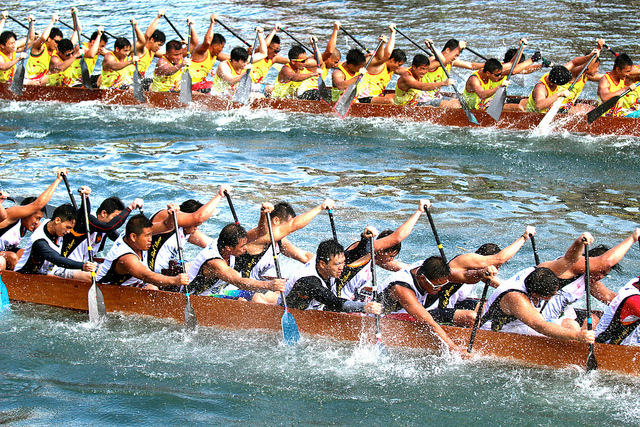 Here's more on the Chinese Dragon Boat Festival and the fantastic races! The Moon Festival or Mid-Autumn Festival is celebrated on the 8th full moon of the year. On this night, the moon is at its brightest. Colorful lanterns adorn homes and streets, friends and family gather together to enjoy the moonlight and of course eat mooncakes! Here's more on the Moon Festival or Mid-Autumn Festival. Needless to say, travel during the major public holidays, specially the "Golden Weeks" of the Spring Festival and National Day in October, is a bit more challenging as facilities and transportation will be flooded by local tourists. In addition to the many festivals which are celebrated throughout China, there are also many local Chinese festivities that are unique to specific areas and are full of the local folklore and myths. During a trip to Hong Kong, we were lucky to be around the time of the Festival of the Bun Hills, which takes place in the island of Cheung Chau, just a ferry ride accross. It is a very colorful event on the eight day of the fourth moon, or around May. The Cheung Chau Bun Festival is one of the most popular celebrations in Hong Kong, a week-long feast full of parades, fireworks and the wacky bun grabbing competition and bun towers that characterize this colorful event. Visit our sister site Hong Kong Traveller to learn more about the Bun Festival. And let's not forget about the hundreds of ways Chinese Festivals are celebrated all over the world. Take a look at this Chinese New Year Celebration in Malaysia in the little town of Kuala Kurau, where old traditions and ancient rituals are very much alive and being carried out by the older generations as well as the younger ones, making sure the folklore and heart of the celebrations are being passed on. And likewise in many places around the world everywhere there is a Chinese community, you can observe the many colorful celebrations, from Dragon Parades to Lion Dances and of course, the feasts and banquets! 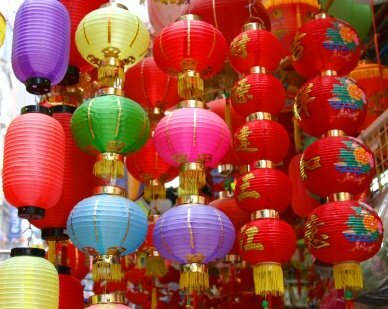 Here's more ways people are celebrating colorful Chinese Festivals all over the world, share how you celebrate too!